This information is already captured on the ACTION Wrestling page on this very site, but it needs to be shared out here as well. ACTION Wrestling 6 - Friday, February 8, 2019 (Roger Spencer Community Center in Tyrone, GA). This will be AC Mack's first ACTION Wrestling Championship defense, and the first defense of the title ever! Belltime 7:30 PM. ACTION Wrestling At The Tyrone Saint Patrick's Day Festival - Saturday, March 16, 2019 (Shamrock Park in Tyrone, GA). This is a FREE OUTDOOR show that is part of the festival mentioned. Belltime 3:00 PM. ACTION Wrestling 7 - Friday, March 22, 2019 (Sandy Creek High School in Tyrone, GA). 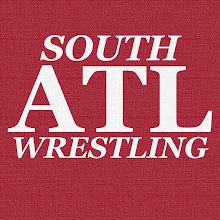 Very excited about this one is it is the alma mater for both of us here at South Atlanta Wrestling. Class of 96! Belltime 7:30 PM. ACTION Wrestling 8 - Friday, April 26, 2019 (East Coweta High School in Sharpsburg, GA). A historic show as it will be the first one in Coweta County, GA. It will be the first ACTION Wrestling show outside of Tyrone/Fayette County as well. Belltime 7:30 PM. Tickets are currently available for ACTION Wrestling 6 at ACTION-Wrestling.com.